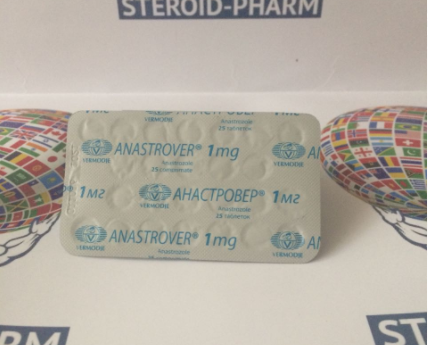 Anastrover is a non-steroidal drug that will impact positively on your body weight as well as on the body building in general. The active ingredient is called anastrozole. This drug releases in pills, each package contains 25 pieces. One pill contains one milligram. 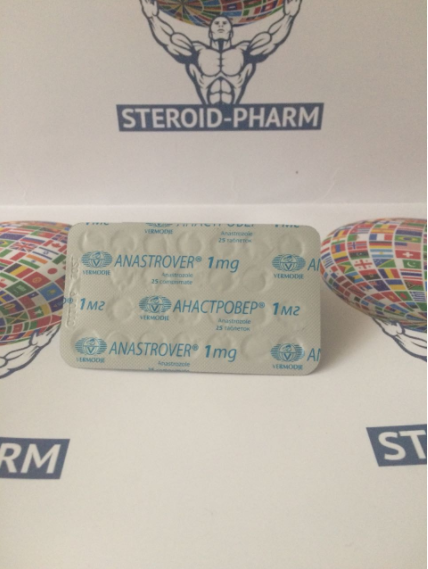 This is the drug of third generation, completely innovative and is based on non-steroid components. Woman can use this medication in treatment purposes during their menopause. One daily dosage almost completely reduces the level of estradiol in human's body. Higher dosages will bring some androgenic impact, without affecting the ability to product cortisol or other hormones. We can compare this drug to aminoglungiimide, and find out that Anastrover in small dosages prevents feminization because of its longer half-life. The period of half-life is from forty to fifty hours. Approximately ten percents of the daily dosage goes with the urine within seventy-two hours. Triazol is an active metabolite of this medication. Be careful and aware of fakes. If you see very cheap drug with the same name, it will definitely be a fake. In our store you can buy a hundred-percent-original production. ·It prevents the fluid generation into the body. ·Most often this medication is used for the bodybuilding purposes. ·The drug has an anti estrogenic effect. ·It prevents the development of various diseases. The full course of an Anastrover lasts from ten to fourteen days. An active ingredient spreads across the blood rapidly. The maximum concentration is observed two hours after an intake. While eating at the same time, the speed of the absorption of the main ingredient decreases obviously, but the amount of an active substance stays unchanged. A balanced concentration establishes about a week after the constant intake of the medication. There are some side effects that can appear during the course. The reviews on this medication are mostly positive, despite various side effects. Professional athletes mostly recommend combining this drug with other various steroids in order to decrease the possibility of side effects. Some of them noted the increase of an estrogenic activity. You can balance the effects of this medication by adding to it various another medications. Only your therapist can know exactly how much medications and which kind of it you can intake. Consult with the doctor before you will start a medication course. Consider that this is a strong medication which will affect your overall state. Do not self-medicate. Negative opinions about the medication are mostly regarding to the functions of nervous system and some stomach problems. But in general this medication is strictly recommended for those who want to gain impressive results quickly.